Pillow-Making and Book Reading at TANTRUM! Come to TANTRUM on Clement for a crafty Sunday in celebration of When I Was Big and You Were Little, debut picture book by Richmond local author/illustrator RS Whipple. Arrive at 1 pm for a reading by the author, then get ready to get crafty! Kids can design and make a bedtime pillow for their favorite stuffed animal, author-endorsed for extra snuggly bedtimes. All kids will go home with a FREE sticker and you can get your book signed, too! Are you thinking of running a Kickstarter campaign to fund your self-published book? I'll be giving my 2 cents on the subject at Charlie’s Corner on Wednesday, December 5th. 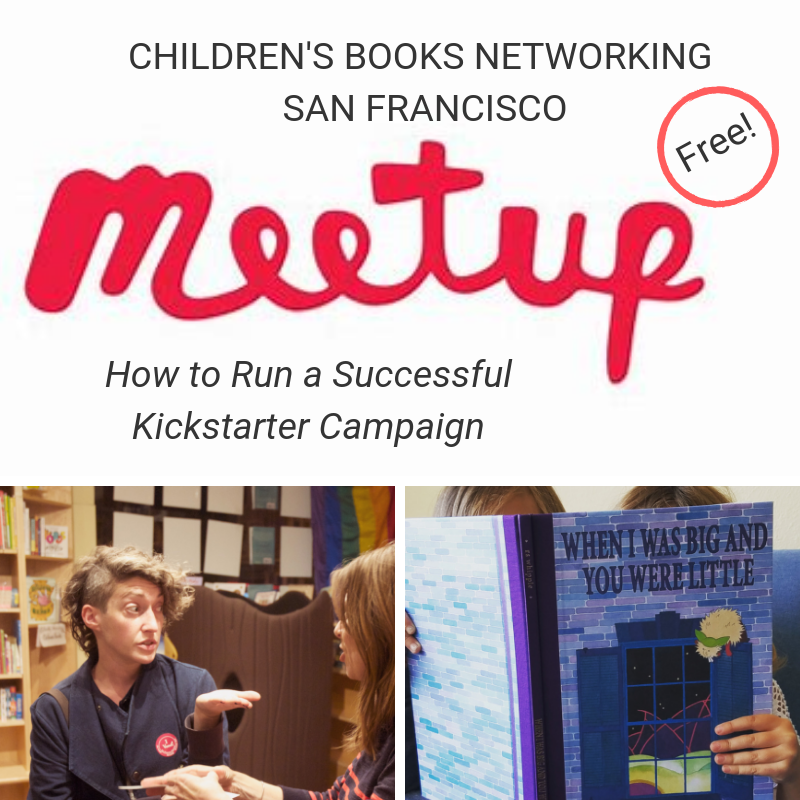 Join the Children’s Books Networking Meetup to let us know you’re coming. Paxton Gate's Curiosities for Kids is hosting a pop-up gallery of original artwork from 'When I Was Big and You Were Little' from November 28th to December 9th. They'll begin by featuring the story in their final Story Time of 2018. Join us at 11 on Wednesday the 28th of November as we go on an adventure with Pina and her father. A limited number of signed copies of the new book and signed prints featuring art from 'When I Was Big and You Were Little', will be for sale for the duration of the show: from November 28 to December 9. Festivities will conclude with a Launch Party and Book Signing on Friday, December 7th from 5 PM to 7 PM.